Immaculate Conception Institute Sta. Maria, Bulacan, October 27, 2017 – Students at Immaculate Conception Institute got a chance to register and showcased their singing and dancing talents at the MNL48 road tour as the 5th destination of the tour travels to the first North stop at Sta. Maria, Bulacan last Thursday, October 27. It was a vibrant day as the young and talented students of Immaculate Conception from Grade 11 and 12 gathered around ICI’s gym area to register as applicants, in hope to be chosen as one of the first generation members of the biggest idol group in the Philippines, MNL48. 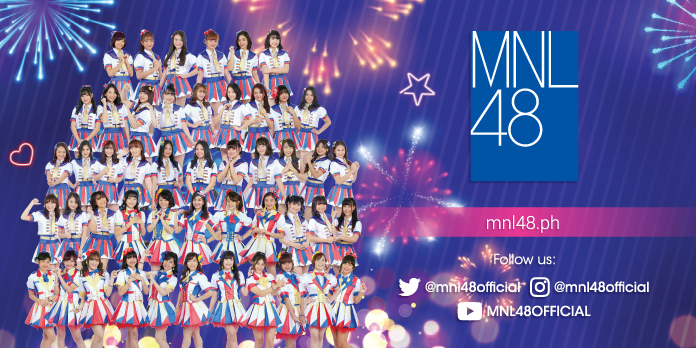 Together with their cheering friends who also registered as supporters, the applicants were all smiles and eager to audition especially when they got a closer look of the customized audition truck specially designed for the MNL48 tour. MNL48 hopefuls and fans expressed their excitement over Hallohallo Entertainment Inc. and ABS-CBN’s announcement of the MNL48 idol search segment on the hit noontime show, “It’s Showtime!” As part of segment, top ranking girls will be highlighted on the upcoming show which will be aired on 2018. The big announcement on the Kapamilya variety show last October 21, coincides with the ongoing nationwide MNL48 registration and audition tour which is now on its 6th leg at Intramuros, Manila and soon will be invading Visayas next month.